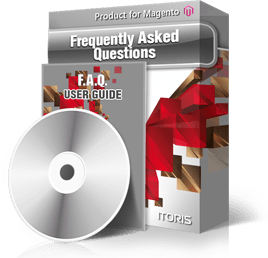 Make your customers’ experience more friendly with the Frequently Asked Questions module. Create global FAQs or ones per product. Goup questions and answers into expandable categories. Reorder, publish, unpublish questions and answers. Make questions visible to certain customer groups. Or make answers visible only if customer has purchased the product. Answers are edited using WYSIWYG. You can add links, images, video, etc. into the answers.